Beginning and concluding in Delhi, the Indian Panorama tour chugs along to Agra for a sojourn of Taj Mahal and move on to the sacred city of Varanasi and its holy bathing Ghats on the banks of legendary Ganges. Group of Monuments at Khajuraho, a UNESCO World Heritage Site, is another attraction offering a glimpse into an era of cultural and architectural brilliance of Chandelas. A never before experience of the India is on the cards in the sheer opulence of Maharajas Express tastefully appointed interiors aided impeccably by gracious hospitality. 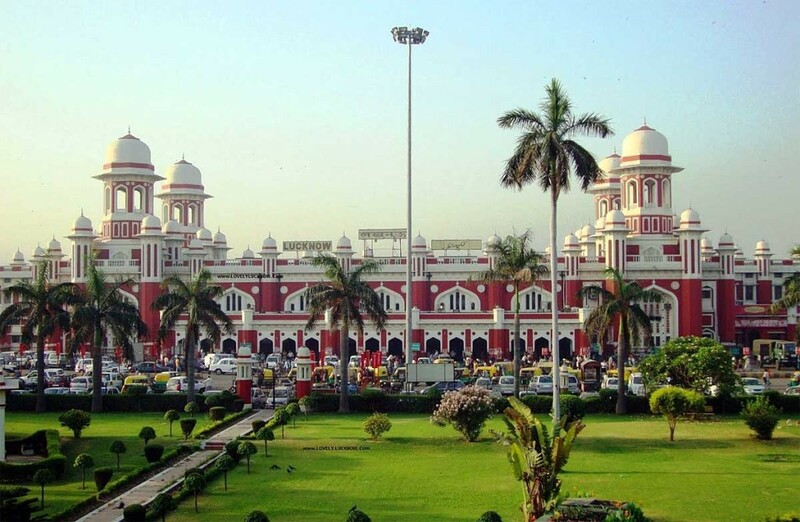 Arrive at the Safdarjung Railway Station to commence the Indian Panorama tour aboard the Maharajas Train. Soon after the boarding formalities are over, you will be given a traditional Indian welcome and ushered to your cabins. Very soon the train will chug its way out of the station and towards Jaipur. 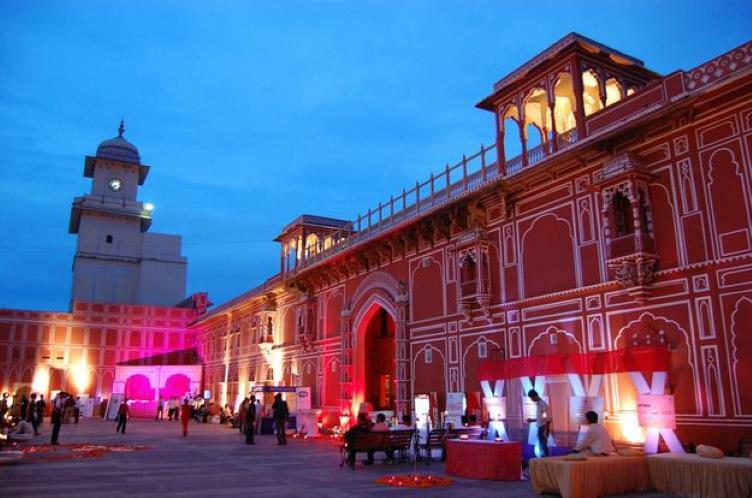 Arrive in the city of Kachwaha kings, Jaipur, the pink city. Post breakfast on board, proceed towards Amber Fort. Later, proceed to City Palace/Jai Mahal Palace for an exclusive Elephant Activity where guests may choose to indulge to paint them, feed them or take a joy ride followed by lunch. Post lunch, visit the Royal Observatory (Jantar Mantar). Optionally, you may also choose activities such as Spa facilities at a Palace hotel, visit to City Palace, private shopping tour or a golf session at Rambagh Golf club. Post lunch, you can take an optional tour for shopping or local sightseeing to the City Palace complex and Jantar Mantar or choose to play golf or indulge in a rejuvenating spa session. 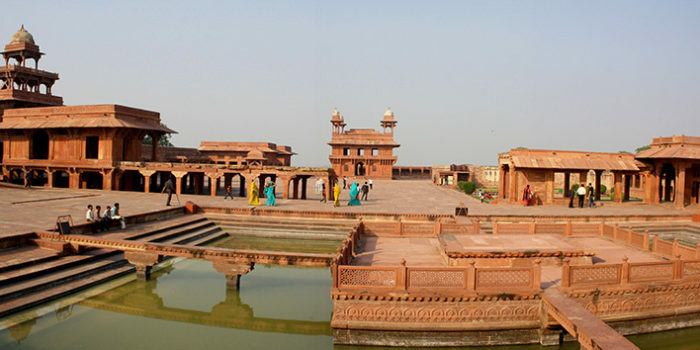 Post safari trip, enjoy lip-smacking cuisines in the lunch while the train enters into the ghost town of Fatehpur Sikri. Upon arrival in the city, disembark the train and explore the length and breadth of Sikri Fort. Early morning on the 4th day, disembark the train and visit Taj Mahal, one of the Seven Wonders of the World and a UNESCO World Heritage Site. A Champanage breakfast atop the Taj Khema with sunset views to feast on will add a delightful moment to the journey for you. Post breakfast in Agra, the train will roll on to Gwalior. Lunch will be served on board the train. 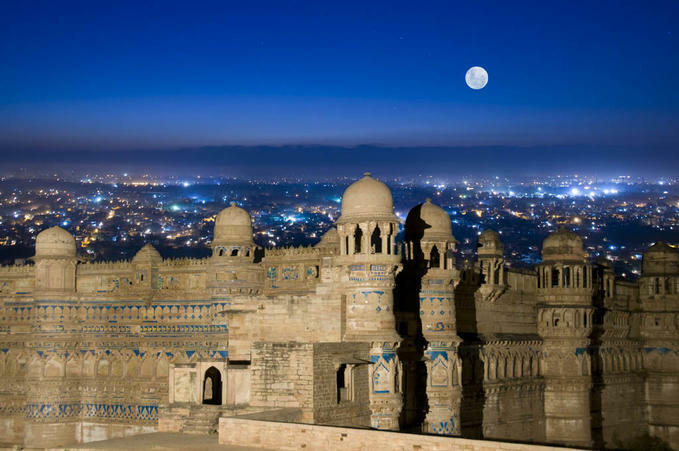 Post-lunch you can visit the Gwalior Fort, Saas Bahu Temple or Jain Cave Sculpture. Optionally you may choose to rejuvenate yourself with spa service in a palace hotel. Enjoy a high-tea organized for you within the premises of the Jai Vilas Palace before returning to the train for overnight stay and dinner. While the train will traverse to the next destination; you will be served your breakfast on board the Maharajas' Express. Lunch will be served aboard the luxury train. Upon arrival, proceed to visit the Western Group of Monuments in Khajuraho. Dinner will be served on board The next destination you will head to is Varanasi. In the morning you will arrive in Varanasi, a holy Indian city known for its Hindu and Buddhist pilgrimage sites. Upon arrival, proceed to Silk Weaving Center. After visit and insights into silk weaving, proveed to Vivsnta by Taj for a sumptuous lunch. Post lunch, you will visit Sarnath renowned for its Buddhist heritage followed by boat ride in Ganges to witness the evening arti. 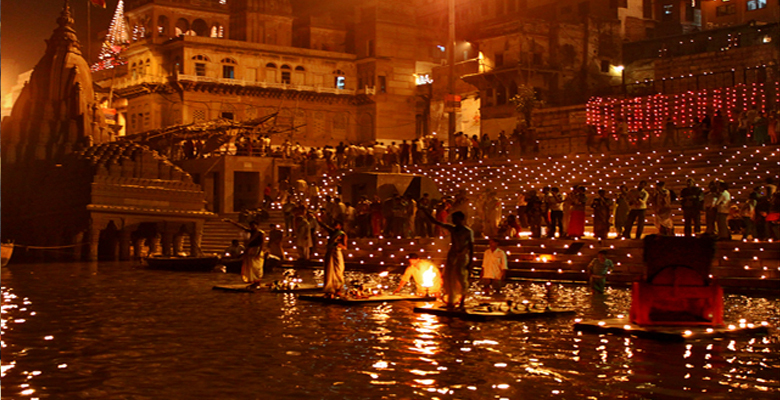 Images of the evening 'Aarti' on the banks of the river will capture your senses. Begin your sojourn across the city by visiting the Rumi Darwaza and the Bada Imambara. Later, indulge in a cocktail lunch at Taj hotel. Return to the comfort of the train after lunch. Enjoy an exclusive "Indian Evening" arranged to give you a peek into the vibrant culture of India. Have dinner on board. The train will leave for Delhi tonight. 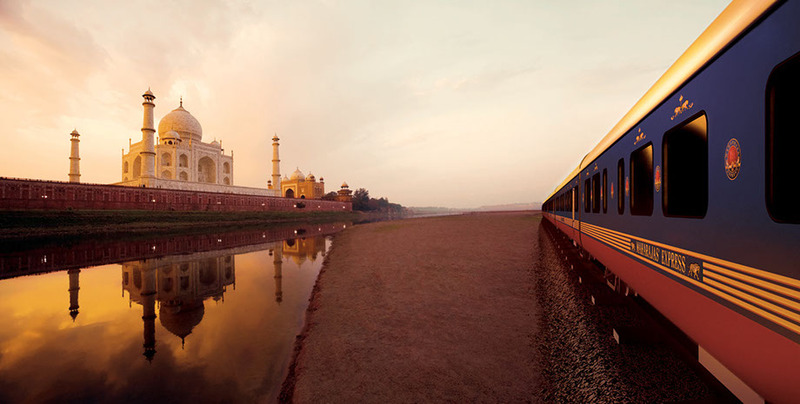 On the 8th day of the Indian Panorama itinerary aboard Maharajas Express, you will return to Delhi marking the end of the luxury rail tour. Post breakfast you will be given a traditional farewell for your onward journey.